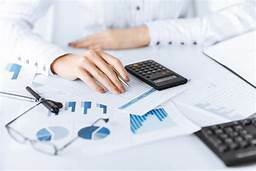 Many small business owners in Greenville, whether they are just starting out or have been in business, end up wanting to hire a bookkeeper to keep track of their finances. A bookkeeper does data entry. A Controller is a trained accountant that can do data entry and also produce financial statements. A CFO is someone who can think strategically about business growth and cash flow. In other words, the first 2 look at, and report on, the past. The CFO looks forward. These are completely different skill sets, and the business owner really needs to understand what they need before they go out and hire or outsource the work. For example, I have seen far too many times where a business owner wants CFO level strategic thinking in someone, yet goes out and hires a bookkeeper or Controller. This always ends in frustration because the CFO skill set is simply not there. So, when you are looking to bring someone in to do your accounting or help you strategically grow, be sure to understand what you need and then hire appropriately.